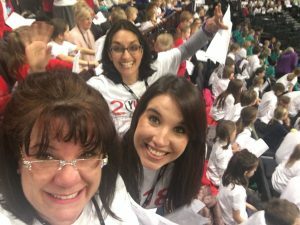 ITS FINALLY HERE – YOUNG VOICES 2019!! 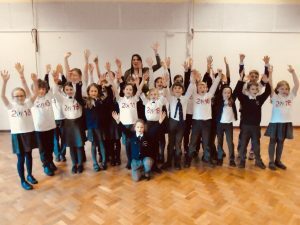 Ben Rhydding Primary School – lets do this!! If you child is returning on the coach, we expect to be back at school at about 11pm. There is no charge for the coach as we have used the money raised by the cost of the rehearsal sessions. On the day your child/ren will need 2 pack-ups. 1 for an early lunch before we set off and then a packed tea for later before the performance. They will need plenty of drinks but no glass bottles please. Children must be in school uniform and we will give out the Young Voices t-shirts on the day. If you have not ordered a t-shirt, your child will need to bring a plain white t-shirt. Every year we are proud to take our children to Young Voices at Sheffield Arena. It is a life changing experience and not one to be missed. Just take a look at the videos from last year!! This opportunity is open to our KS2 pupils and you can register by downloading a copy of the letter here and pay by clicking here. You can check out the Young Voices website here.